Three students from the National Taiwan University of Arts might have found the most creative way to showcase and raise awareness about Taiwan’s water pollution problem. How? By creating a line of “popsicles” from the collected sewage found in local bodies of water. Art students Hung I-chen, Guo Yi-hui, and Cheng Yu-ti took samples from 100 local bodies of water, froze the collected garbage, and then preserved the result in polyester resin. (So, no, you can’t eat it.) 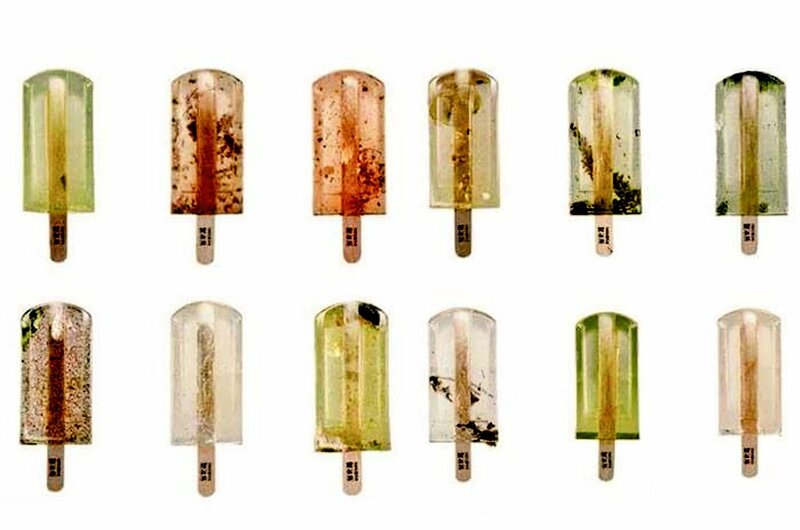 They even outfitted each individual “pollution popsicle” with its own gorgeously designed packaging. The end result simply dazzles the eye, and the internet. But seriously, who wouldn’t want to take all of these “flavors” home? But perhaps, that’s the point. The popsicles are meant to cast a weird spell on you. Yes, they are darn good-looking, and your immediate reaction is to reach for a lick. But upon closer examination, you realize the horror contained within each dewy-colored popsicle. Bits and pieces of toxic, real, everyday trash. Your taste buds shudder with disgust. How’s that for art that confuses/challenges your medulla oblongata and your stomach? We think it’s pretty rad. Notice how each package is labeled with the region where the polluted samples came from: Hualien River, Dongshih Fishing Port, Sanchung Park. As the video continues, it identifies exactly what’s in these sumptuous “summer treats.” Fragments of a comb, cigarette butts, straw wrappers, and other junk, encased in the colorful resin. Yeesh! "...through the beautiful packaging and content of the sense of contrast to convey that pure water is important, and Then we would like to ask you is: would you want to eat a beautiful frozen polluted puddle?" Contrast, indeed. We wouldn’t dare touch these popsicles! But you’ve made us aware of the environmental issues at hand. 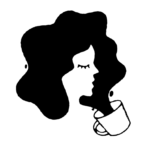 We’re hoping your art inspires real change!